Love having fun with friends? Then you have to go along to the very unique ABQ Bar that is set in a RV. A entire lab is set in a RV. This is where you will get to cook and get hi** with Skinny Pete and Badger. You will be working with W.W molecular techniques to cook cocktails and then YO, drink em. Acids, alcohol, sudo, load of highness and other stuff provided. Booking is required in advance to experience this sensational eye popping experience. To find out more about ABQ click here. Thanks to ABQ who let me and another from the community of Love Pop Ups London come down to experience your unique concept of cooking with cocktails. Read our blogs/reviews from the comments section below. Out in East London there is a piece of New Mexican desert with a RV on it, inside some bad stuff is being cooked up! 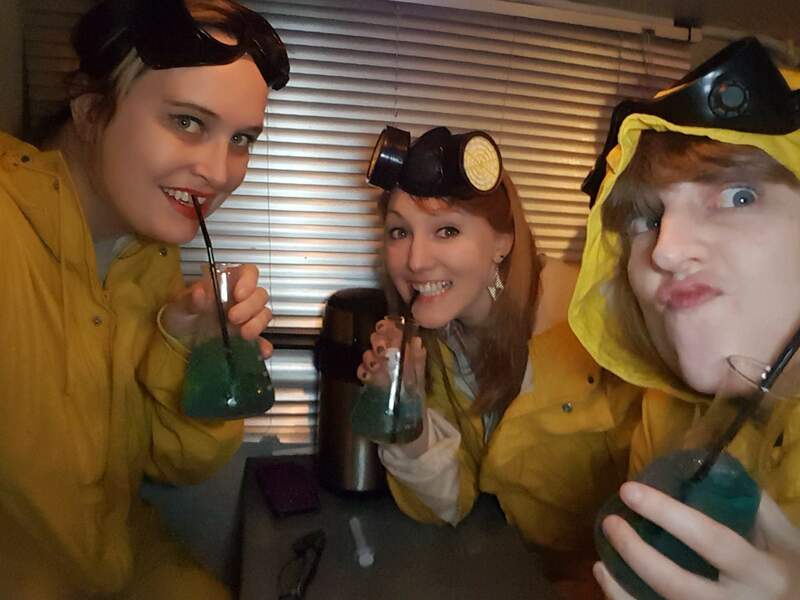 That’s right this is the Breaking Bad cocktail experience, thanks to Love Popups London and ABQ I got to try it out. As I waited outside with my friends there was as a sign on the door saying don’t knock, after a short wait a guy in a yellow suit and a mask came out and said you ready to cook bi*$£es. To read more go to my blog site.